Add new and delicious flavors to your menu with AdvancePierre Foods 3 oz. 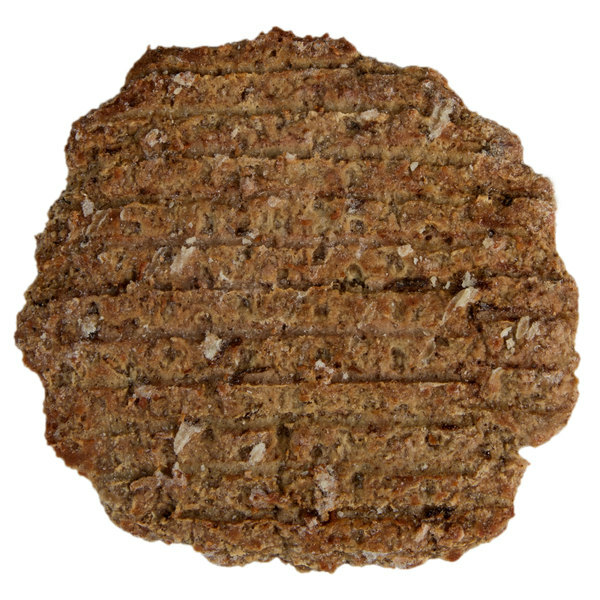 fully cooked flame grilled angus burgers. Create mouth-watering burgers to easily expand your menu offerings. Layer this burger on a toasted bun with fresh lettuce, juicy tomatoes, spicy pepper jack cheese, and crisp bacon for a signature burger your customers will order time and time again. The angus beef flavor will combine with the cheese and bacon to ensure each bite is bursting with flavor. With 56 burgers in every case, the patties are naturally shaped to provide a home-made feel. Plus, the flame grilled char marks add to the authentic appearance. 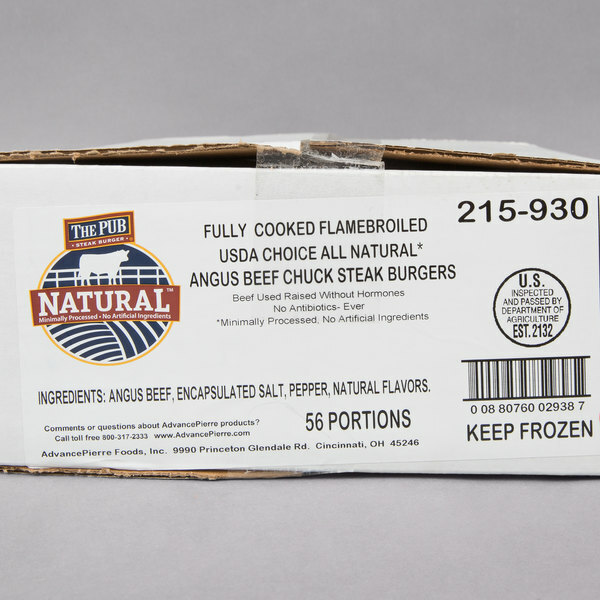 These burgers are made of beef raised without any hormones, and there are no artificial ingredients added so you can confidently serve your customers a quality product! Already fully cooked, these burgers simply need to be thawed and heated on a flat grill for two minutes on each side. Within just a few minutes, you will be able to add juicy burgers as an excellent addition to your restaurant. The 3 oz. 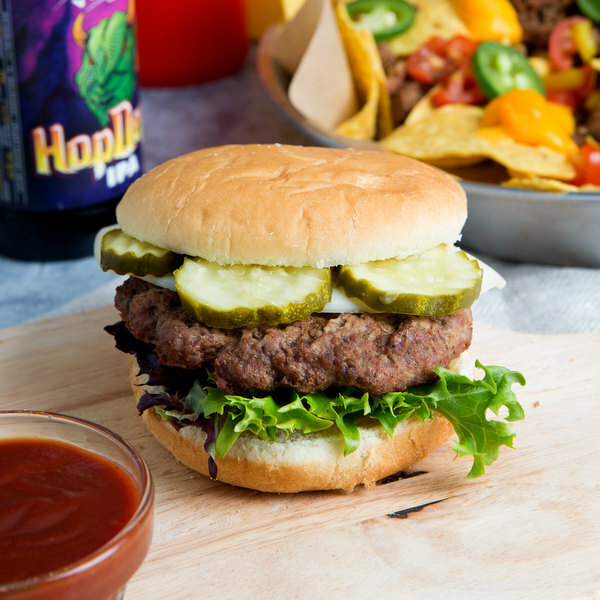 size of these patties is ideal for making popular, hamburger sliders for your customers. Keep these burgers on hand to make sandwiches full of rich, savory flavors. AdvancePierre Foods contributes its national success to the innovation of their customers and their employees. From their beginning in 1946, they have dedicated themselves to providing superior meat products to every customer, so they make sure the ideas and suggestions from their customers are heard. 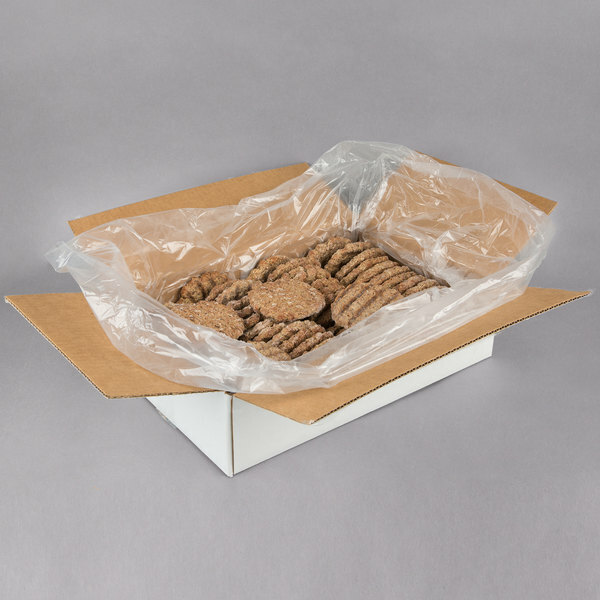 When superior value and quality are a necessity, AdvancePierre Foods is a great choice for your restaurant, bar, or concession stand.